Is there a bubble in dividend growth shares? The on-going problems in the UK and global economies have driven many investors into the arms of safe, defensive companies that can generate consistent dividend growth. It’s easy to see why this might be an attractive strategy, given the high levels of uncertainty and volatility in the stock market today. But the popularity of safe, dividend growth shares has caused some people to ask whether this is the next bubble. At first glance it seems that there is. Adam Parker of Morgan Stanley is quoted by Merryn Somerset Webb in MoneyWeek as saying that “Defensive stocks are trading near a decade-high relative to their more economically sensitive peers”. Like most things, it pays to dig a bit deeper and understand what a bubble really is. The idea of a bubble can be misleading as it suggests that there’s a single, all-encompassing bubble. In other words a bubble in defensive, dividend growth shares may lead some investors to think that all dividend growth shares are in a bubble. Markets are made up of lots of individual components like houses in the housing market and stocks in the stock market. At any given time there will be some houses, or some stocks, which are over priced and some which are underpriced. A bubble simply means that there are more overpriced investments in a particular asset class or group than normal. Even at the hight of the stock market bubble in the late 90s it was still possible to find shares that weren’t part of the bubble. In fact, bubbles favour the astute stock picker because when the market is in a bubble, simply buying the market through an index tracker is more likely to lead to poor future returns. Stock pickers on the other hand can continue to look for attractively valued investments no matter how overblown the market may be. The same is true today for defensive, dividend growth companies. While there may be more overvalued defensive companies than usual, there are still plenty that are very attractive. The best way to pick stocks in a bubble is to know what to avoid. In the stock market, the most obvious signs of a share price that is ‘too high’ are a high valuation multiple (PE ratio) and a low dividend yield. A good example of an excellent dividend growth company with a high valuation and low yield is Diageo, a ‘low risk’ favourite of many investors. The graph below shows how Diageo has performed in the last decade. This is exactly what investors like to see from their dividend growth investments. A steady stream of growing dividends, covered handsomely by stable and growing earnings. 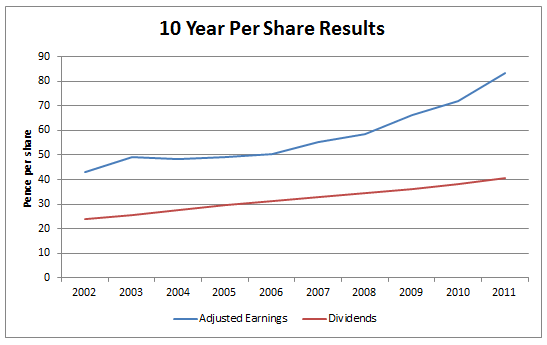 The earnings and dividend growth rate has been around 6.3% a year in the last decade, handily beating inflation. There seems to be little danger of the dividend being cut, or even of growth slowing down. The real danger is in the share price. The current share price (3rd Aug 2012) is 1,700p. For those who already own these shares this is great news. It’s a record high and some 50% above the previous peak in 2007, and more than 100% above the bear market low in 2009 of 750p. The price in recent months has skyrocketed. This elevated price has stretched the long-term valuation multiple to extreme levels. The price relative to the past decade’s average earnings (known as PE10) is almost 30. This is more than double the equivalent measure of the FTSE 100. The high price has hurt the dividend yield too. It currently sits at just 2.5%, which is about a third below the 3.5% available from a FTSE 100 index tracker. Investors who like Diageo may say that its future is far brighter than the market average, therefore the inflated valuation is warranted. However, forecasting the future is a dangerous game, especially when that optimism isn’t borne out by history. Diageo has grown by approximately 6.3% a year in the last decade. That’s a great performance, well above average with consistent dividend growth to reward shareholders. But over the same period the FTSE 100 has grown earnings and dividends by about 6.5% a year, with only slightly less consistency. You can see the graph for the FTSE 100 below. Does Diageo really deserve a valuation twice that of the FTSE 100? Is Diageo’s 30% lower dividend income worth accepting in the hope of future gains? And finally, what might happen to that lofty valuation if Diageo had a bad year and missed its earnings forecast? You may ask yourself those questions and still decide that Diageo is a worthy investment. That’s fine. The point is that the questions need to be asked in the first place. 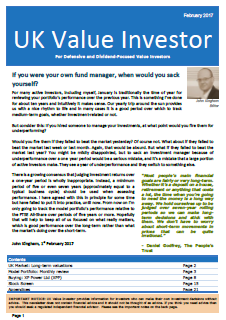 Even in the worst of bubbles there will still be pockets of opportunity; places where outstanding investments can be found at bargain prices. When it comes to dividend growth shares the trick is to find the highest quality companies for the lowest possible prices – regardless of whether there is a bubble or not. Based on our proprietary share valuation methodology, we believe there is currently not (yet, at least) a bubble forming in dividend paying shares. Nevertheless, Diageo has been historically overvalued for some time now. Currently, Diageo is only one of a few historically overvalued FTSE100 companies. 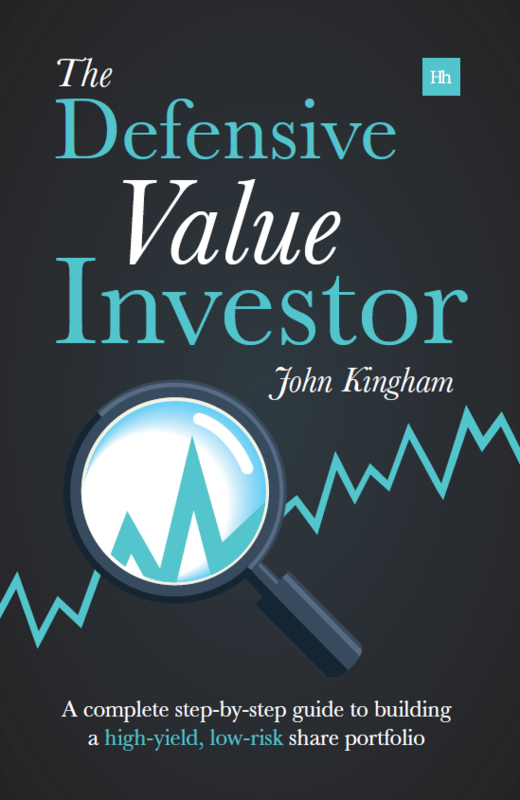 In contrast, there are also only a few FTSE100 dividend paying companies that are currently priced at historically undervalued price levels. Instead, the overwhelmingly majority of FTSE100 companies are trading somewhere ‘in-between’. Currently the situation remains favourable for long-term dividend growth investors, in sofar that investors can potentially still pick up a number of FTSE100 dividend payers based on their historically undervalued share prices. Hi Steve, I guess it’s the same with all parts of the market, some are high and some are low, you just need to understand what to look for. That is one heady PE10 valuation. If that was the FTSE 100 my model would be suggesting that you could be expecting a capital loss of 28% 5 years from today. Hi RIT, yes it’s pretty high. There are sound reasons for it deserving a bit of an earnings yield premium, such as its higher return on capital and higher dividend payout ratio, but it still looks stretched to me. Also I wouldn’t expect it to have the same long run average PE10 as the FTSE 100, so FTSE 100 forecasting techniques would need a re-calibration before applying to Diageo, but either way, with a PE10 of 30 the price has a long way to fall if the company gets hit by any bad news. I just wonder why would you compare Diageo with FTSE 100. There is very litle in common between the heavy mining and banks indices and what Diageo realy does. It is like comparing pears with apples. There is another thing, in the last 10 years under Paul Walsh management this company has sold the Burger King and the bread factories focusing on what was the core of the business: selling spirits. Hopefully one day we shall get rid of the beer business to realise the intrinsinc value of the company. The strengh of Diageo is their distribution power: buying regional brands and transforming them in global brands. It has just added Ypioca and hopefuly we will get the biggest tequila brand Jose Cuervo soon. Is it too expensive, hard to say. Do I know how much whisky the Chinese will drink in 10 years time? No I don’t. If you’ve read my answer to your Tesco/Rolls Royce comment you’ll see that I look at companies as black boxes for the most part. They are investments that have certain characteristics like a cash return in the form of dividends, potential income and capital growth, and the risk of capital loss. 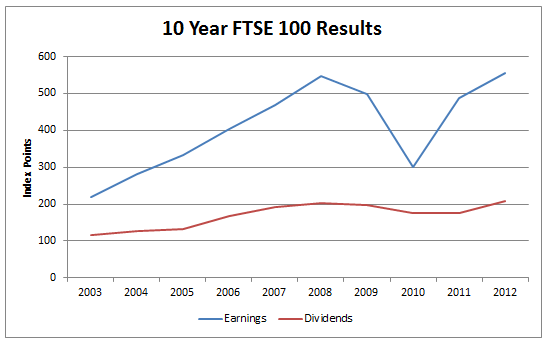 So in many ways the results produced by the FTSE 100 and Diagio are essentially of the same nature. The underlying mechanism by which those results are produced may be different, but a progressively growing dividend is a progressively growing dividend, no matter where it comes from.